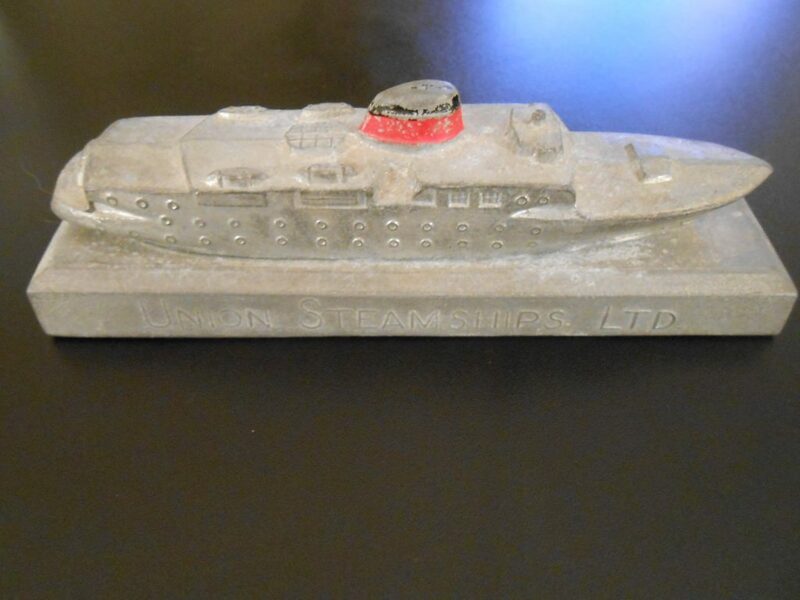 Great little model paperweight of one of the Later USC's boats that served the coastal watesr and rivers in Western Canada. Somewhat of a competitor to Canadian Pacific .. CP eventually bought what was left of the company when it was liquidated in the period after WW2. Heavy and in good shape .. still red and black paint on the funnel.